Alfredo, 19, will drive a partial schedule next year in the Gander Outdoors Truck Series for DGR-Crosley. His season schedule isn’t set as yet hit is expected to make his series debut at Atlanta in the second race of the season. “Going to DGR-Crosley next season is a huge opportunity for me,” said Alfredo. “To be able to work with David (Gilliland), who’s not only the owner but also someone who has a lot of racing experience, is going to be very beneficial. 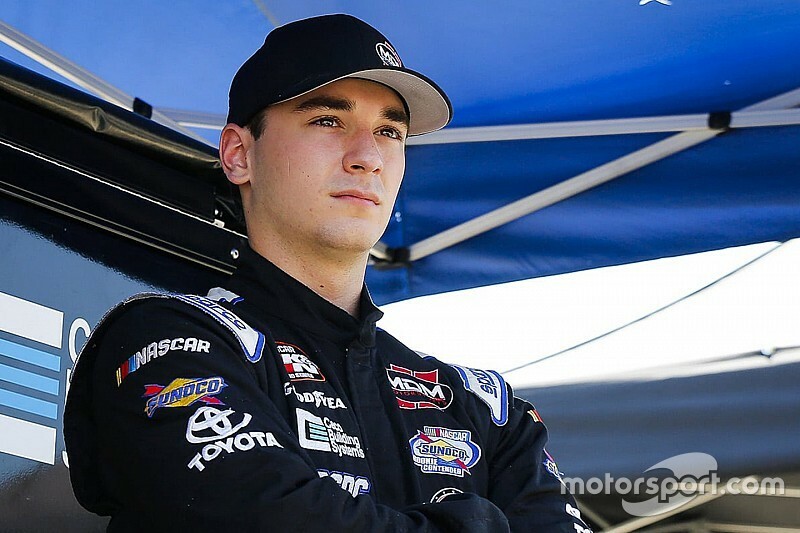 Alfredo competed fulltime in the NASCAR K&N Pro Series East in 2018 with MDM Motorsports. He finished fifth in the series standings and earned his first series win at South Boston (Va.) Speedway. Before moving to Pro Series East, Alfredo raced late model stock cars in the CARS Tour where he collected two wins and finished second in overall point standings. He is also a member of the NASCAR Next program which highlights emerging up-and-coming drivers. Alfredo said his goal is to make it to the Monster Energy NASCAR Cup Series.